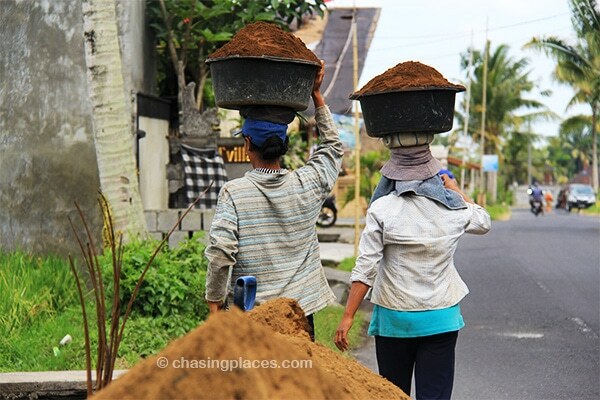 If there’s one description fitting for Bali’s Ubud, it would be culturally rich. Located in the northern section of the Indonesian Island, Ubud is isolated from beaches that often define a Bali vacation. Despite this, Ubud is holding on as a fascinating travel destination even without the sand and ocean water. Even though there are a number of cafes, restaurants and shops, there is a sense of tranquility in Ubud. The kind that will make you go through the day without stress and worry, and the kind that will let you spend days in a place without even noticing. Ubud is more elevated compared to other coastal towns. So, you know you’re walking around this particular Balinese town when the air is slightly cooler because of the mountain breeze. If you’re the type to easily get cold, wearing warmer clothes at night will come in handy. 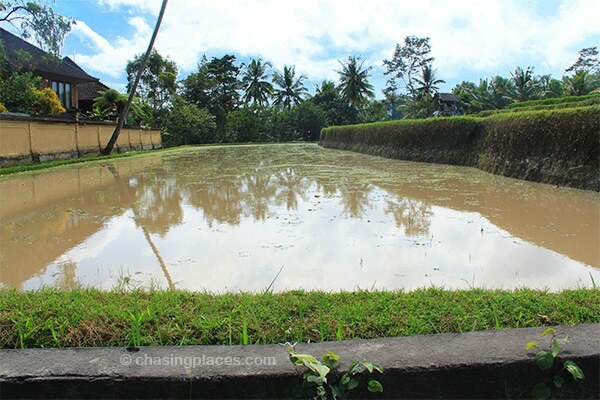 Ubud’s wet season is typically between January and February. The original Ubud area is smaller than it is today. It has spread to include smaller villages located several kilometers from the town. The main streets in Central Ubud include Jalan Monkey Forest, Jalan Raya Ubud and Jalan Hanoman. The intersection between the Jalan Raya and Jalan Monkey Forest is where most bemos stop to drop off passengers. This is also where the main market is situated, and is considered the beating heart of town. Because Ubud is a tourist magnet, all sorts of accommodation can be found all over the town area, including in the east-west main road called Jalan Raya Ubud. If you have the budget, you can choose to stay in upscale hotels and luxurious retreat compounds, which are situated around the outskirts of town, in the nearby villages like Kedewatan and Campuan. These gorgeous usually sit on top of hills and offer glorious countryside views. But, Ubud also caters to the budget-conscious. In fact, there is a wide range of guesthouses and homestays to choose from. One of the cheapest forms of lodging in town is the basic yet clean rooms offered in family-owned compounds. If you only have a day in Ubud, it would be a sin to spend most of your time indoors. Go out and walk around town and you will be charmed by its great selection of galleries and restaurants. We particularly love Balinese restaurants because they are culturally distinct yet effortlessly elegant in design. These restaurants usually follow the open-concept style, which means there are no walls around albeit they have roofs. Wood and brass are some of the main materials used to embellish the interior of restaurants. Travel Checklist: Do you have everything you need? You can reach Ubud from Denpasar by taking a public bemo from the Batubulan terminal. The journey takes about an hour. There are instances that tourists are asked to pay for the entire vehicle. Don’t fall for that trick as bemos will most likely get passengers along the way. If you have the budget or are traveling in groups, there’s also the option of hiring taxis or private vans. However, for Chasing Places, the most practical way to get to Ubud is renting and driving a vehicle. Motorbikes can be rented in coastal towns especially in Ubud, and the rental prices are quite reasonable. Driving a motorcycle can come in very handy when it comes to exploring Ubud’s captivating undulating countryside dotted by gorgeous rice paddies. 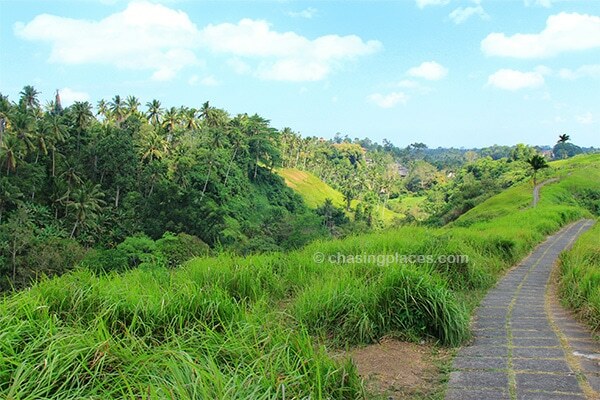 As opposed to the main roads, the back roads around the Ubud are quieter yet narrower. But if you’re not very confident about your “moto-driving” skills, you may get to town by car, and then hire a motorcycle taxi to drive you around the countryside. This may even work in your favor as the local driver may know some off-the-beaten-path destinations that will completely astound you. 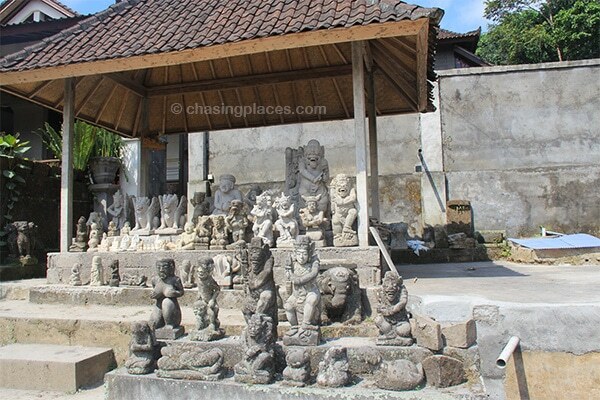 Like other towns around Bali, Ubud also has its own main temple named Pura Desa Ubud. 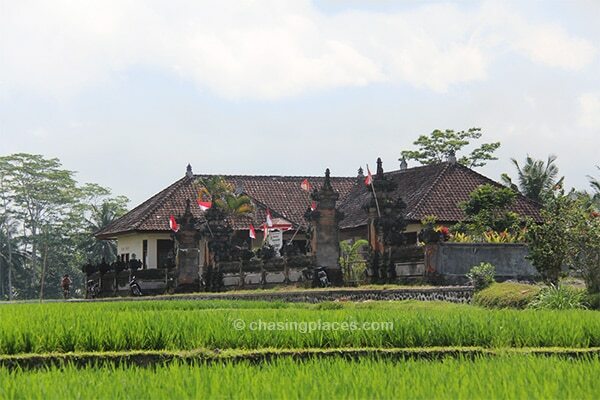 And if you absolutely love Balinese style temples, this is a noteworthy landmark to visit. Another attraction that can easily be found in the center of town is the Ubud Palace, where the royal family of Ubud still resides. This is also the stage for some of the best Balinese cultural dance shows in town. Just beside the palace is the equally impressive Puri Marajan Agung, which serves as the private temple of the royal family. This temple’s best feature has got to be its beautifully and intricately designed gates. 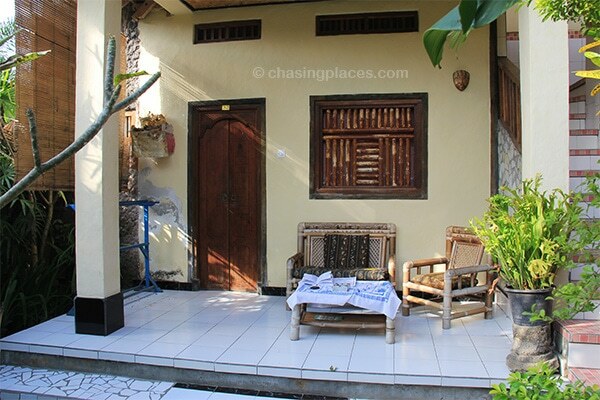 Ubud is loaded with accommodation options. They’ve got everything here from jungle retreats to bottom-end guesthouses. To get a solid selection and reasonable prices I would start with www.agoda.com or www.hotelscombined.com. Agoda has a massive selection of rooms in Ubud (over 1000 at the time of writing) so you won’t have a problem finding something comfortable in the specific area that you would like to stay. We also extensively used www.hotelscombined.com during our travels throughout Indonesia. We found their price comparison searches to be very useful and cost-saving. I hope that either one of these can give you the choice you are looking for. Why Kuta is Bali’s Rebel Child?